Lance has represented public and private clients in matters involving real estate, land use, environmental contamination, lease negotiations, corporate formation, outdoor advertising, municipal finance, and general business transactional work. His real estate experience includes property sales and acquisitions, due diligence, title insurance negotiations, property management, entitlement/permit processing, environmental investigations and indemnity protections, redevelopment, and code enforcement. 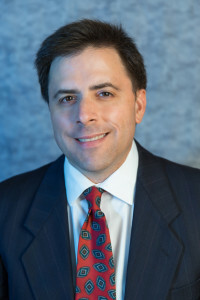 For Colantuono, Highsmith & Whatley’s clients, his work has included a broad range of real estate transactions as well as negotiating, documenting and interpreting development, construction and reimbursement agreements between the firm’s public agency clients and developers and contract utility operators. Leah Goldberg and Lance Shoemaker, An Ounce of Prevention Could Be Worth Millions, The Transportation Lawyer, February 2003. The Use of Equitable Tools in Freeway Construction Litigation, Transportation Law Journal, Fall 2000. Lance Shoemaker et. al., The Perils of Comprehensive Planning, Probate and Property, November/December 1998. Lance Shoemaker et. al., Minority Political Incorporation Revisited, Public Affairs Report, March 1992. Lance is admitted to the bar in California and is a member of the California Bar Association.